The Coffee and Tea Exchange is located on 3311 N. Broadway in Lake view. 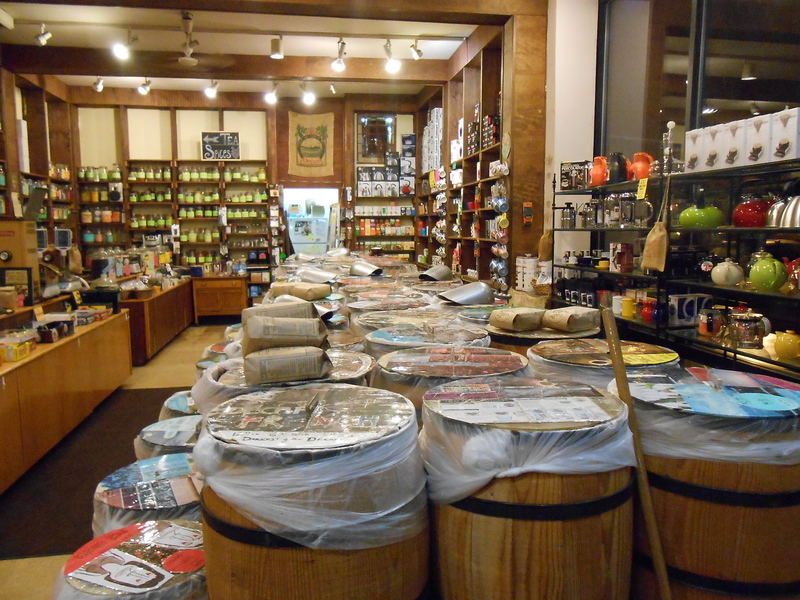 The Coffee and Tea Exchange is a shop packed with coffee beans, tea, spices, pastries and more. You can buy loose leaf teas or coffee beans to take home or have them made for you there. 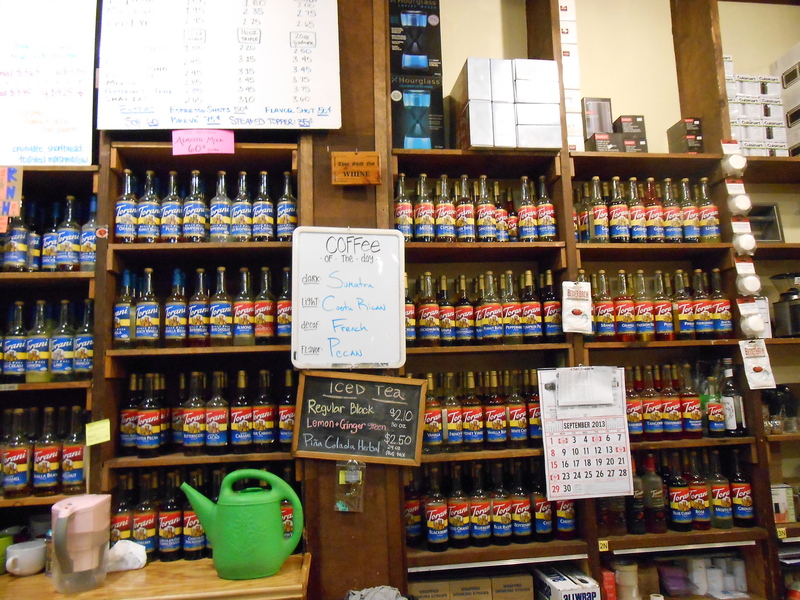 They have a wall filled with syrups. After spending some time going around and smelling all the different coffee beans in the barrels and looking at all the different things I wandered up front to order something to go. I’m not a big fan of coffee but my friend loved all the different flavors and roasts that were available. I ended up getting a latte where they exchanged the expresso for hot chocolate. It was their s’mores version with roasted marshmello flavoring and the chocolate. I got whole milk in it and whipped cream on top and absolutely loved it. The shop does plenty of sales and has tons of fun things to check out, whether you want to buy some coffee beans or tea leaves to make at home, or get some to go.